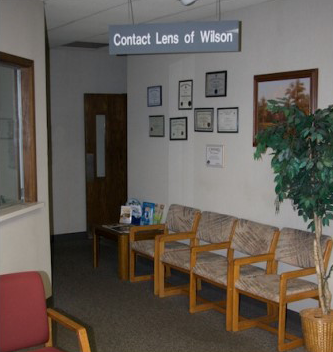 Contact Lens of Wilson provides all aspects of contact lens fitting and follow-up care, by utilizing a personal hands-on approach to patient care. We offer the best materials and provide individual attention to each patients needs. We are a specialty contact lens department with over 20 years experience. We offer all types of visual correction in both Rigid Gas Permeable, and all soft lenses, including disposable, conventional, and toric contact lenses. We are happy to provide for all the specific needs of each patient, and it is our pleasure to serve you.